Sent in by someone I know. The biggest issue on a Sunday in a quaint island in the middle of the Mediterranean is not the fact that there are serious environmental health concerns with people hospitalised in increasing numbers to breathe through a mask. Nor is there a discussion related to the fact that a mere 300km away from our shores a warlord has sounded the drums of war in the already war-torn country of Libya and has started marching his troops towards to Capital for what is being described as another military take over of the country. There is little if any discussion about the problems of corruption in our system or the fact that people are suffering because of that corruption. We do not discuss the lack of quality education or the increasing brain drain from our islands. No. We choose instead to discuss religious symbols. Mind you, this is not a debate on religion or religious belief, nor is this about faith or spirituality. It’s about symbols. The ill-fated decision of a director to remove religious symbolism in our islands’ health clinics took center stage in all and everyone’s mind. Taking over any and every other kind of news that can affect our island and by extension our lives. This is 2019, we are talking about non-issues, in the fear that we would have to discuss very real realities that we are facing or should be facing. The reality is we are going to very soon be facing another migration crisis, with the fighting in and around Tripoli. And the reality is we are in the middle of an environmental crisis with the air becoming almost unbreathable unless we are ready to walk around with masks. Yet if people want to speak about religious symbolism, it does make a very sick joke of the entire thing. For this situation brings out people who have very clearly lost their faith along the way, they have thrown away the values of what would make a good follower of Christianity and are just keeping the facade of a Christian. 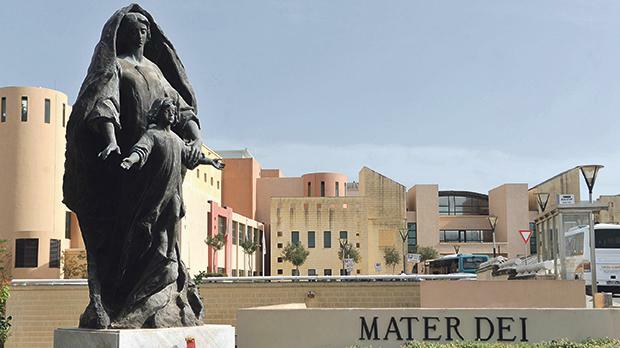 After all who doesn’t like a little bit of shafting over their neighbor to get that extra foot of land to build on as long as they also have a little “niċċa tal-Madonna” on the facade of their house?